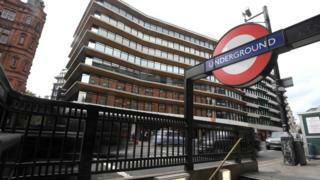 Bell Pottinger has confirmed that it is putting itself up for sale. A spokesman said: "I can confirm that we have appointed [accountants] BDO to look at the options for the business moving forward." The PR firm has seen a loss of clients since being expelled from the industry trade body for a campaign stirring racial divisions in South Africa. Banking giant HSBC is among the companies to have stopped using Bell Pottinger since the scandal emerged. Investment firm Investec and luxury goods company Richemont have also severed links with the company, which had its membership of the Public Relations and Communications Association (PRCA) terminated. The PR firm was found to have breached two clauses of the PRCA's professional charter and two clauses of its public affairs and lobbying code of conduct. It followed an advertising campaign which emphasised the power of white-owned businesses in South Africa. BDO will try to find a buyer for the company, which employs 250 people across its offices in London, Asia and the Middle East. Chief executive James Henderson resigned on Sunday and the company said it would move quickly to appoint his replacement.